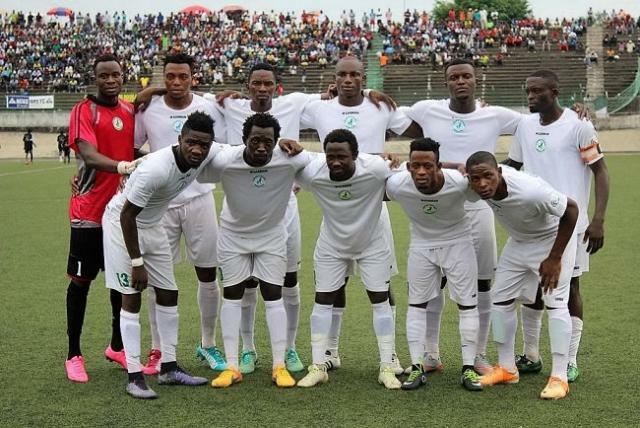 Coton Sport of Garoua have advance to the next round of the CAF Champions League as they edged l’Association Sportive des Fonctionnaires de Bobo Dioulasso, of Burkina Faso 5-3 during post match penalty shoot outs at the Military stadium in Yaoundé yesterday. The match ended 3-1 in favour of the Garoua based club after regular playing time. The score was however not enough to secure a spot for them following their 3-1 defeat during the first leg match. Daouda Kamilou scored a brace during the first period of play at the 21st and 45th minute. The Burkinabe representative bounced back in the later part of the game with a goal at the 72nd minute. But Ebembe Elimbe’s late goal at the 81st minute gave the home side team hopes of sailing through to the next round. The 2008 CAF champions runner-ups are set to face Zamalek of Egypt in the next round. Coton Sport was founded in 1986, the team was promoted to Cameroon’s first division championship in 1992. Since then, they have dominated local football winning eleven league titles in the process.